The FC Barcelona medical staff have confirmed after tests carried out on Javier Mascherano that the first team player has an left thigh injury. His return to action will depend on his recovery. The Argentine came on in the 62nd minute of the game against Atlético at Camp Nou in place of Denis Suárez. 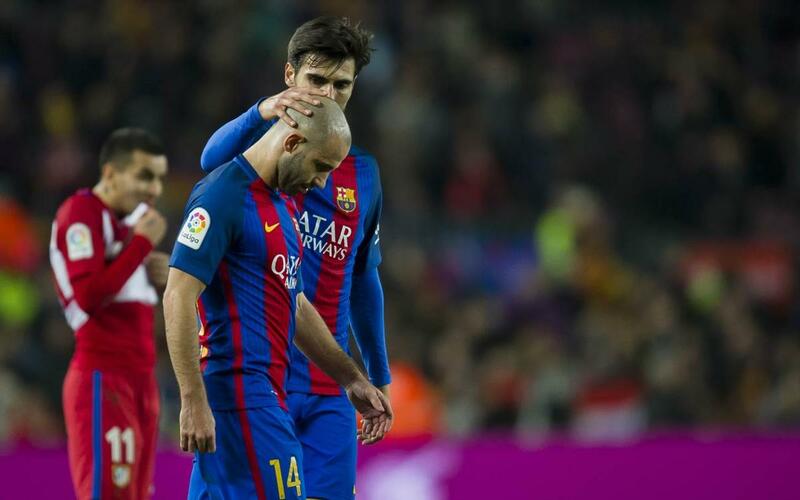 Mascherano managed to finish the game but he was in some discomfort at the final whistle. The versatile Mascherano has played 26 games this season, 15 in the league, four in the Copa del Rey , five in the Champions League and two in the Spanish Super Cup.